An art installation questioning gender bias made by women Madhubani painters from the rural areas of Bihar will make its way to Bengaluru during the third edition of Gender Bender on September 9 and 10. BENGALURU: An art installation questioning gender bias made by women Madhubani painters from the rural areas of Bihar will make its way to Bengaluru during the third edition of Gender Bender on September 9 and 10. “Berang se rang”, an installation of Madhubani paintings on a small hut will be presented by artist Sukriti Surekha from Muzaffarpur, Bihar. “It’s a simple and small hut, similar to many seen all over India,” says the painter who lives in Mumbai now. On the inside, it showcases a series of Madhubani paintings which depicts the forms of discrimination women face over gender. “These paintings are done by various artists, including myself, who are from rural areas of Bihar and are Madhubani painters by profession,” says the 24-year-old. While these paintings are filled with colour, “their own lives and individuality is colourless,” she adds. The installation includes a short video that documents thoughts and views of artists involved in the project and their journey so far. “Berang se rang” presents a traditional form of art practised majorly by women in a contemporary form to depict the biases these artisans face. “While education along with several other factors have brought a lot of positive change in some sections of our society, women in small rural parts are still struggling for basic rights,” says the alumnus of Narsee Monjee College in Management studies. 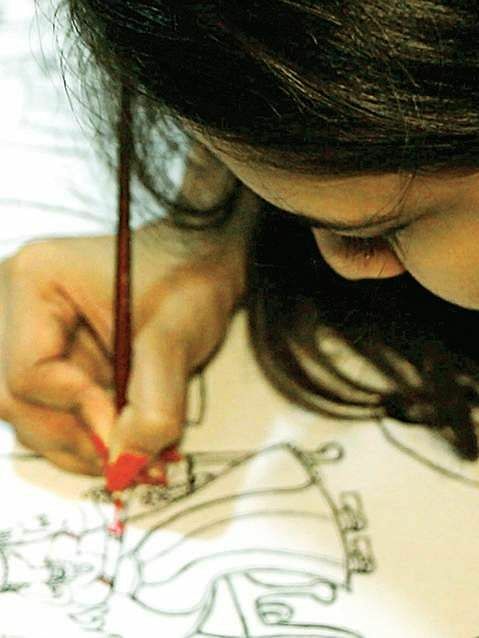 Sukriti feels the voices of these women aren’t heard and their art is not respected. “I chose Madhubani as the medium to do this because not only is it a beautiful form of art which provides livelihood to many women of Bihar, but also dates back to a time when men and women were equals,” she adds. The self-taught artist works with several medium and artforms such as murals, acrylics and charcoal. Her present installation showcases work of five women. “Presenting their work at Gender Bender will inspire others around them to start on a journey of self-empowerment,” says Sukriti. Gender Bender 2017 is being presented by Sandbox Collective and the Goethe - Institut, Bengaluru.